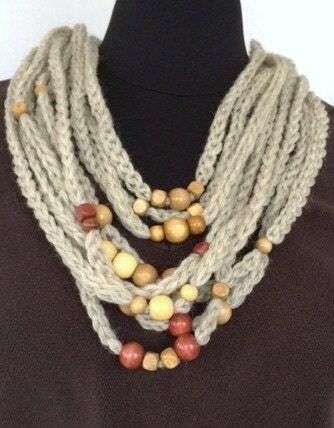 This stylish and beautiful women's beaded infinity rope cowl/scarf was made of 100% wool of an oatmeal-colored yarn. 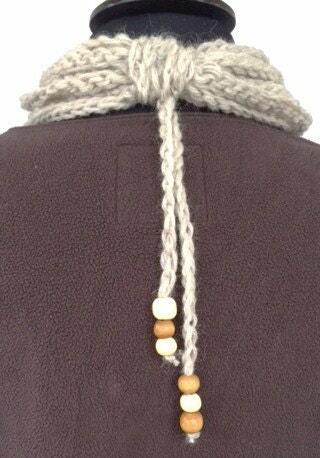 It provides both comfort and warmth and is like wearing a hug all day! 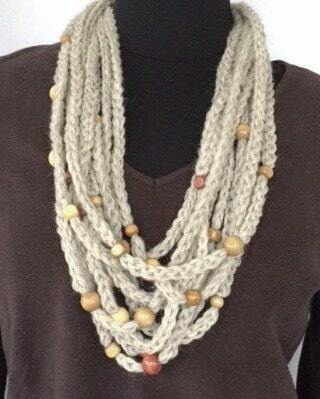 It was finished with natural colored wooden beads and a beaded tie that drapes down the back. It will lend itself to compliment almost any outfit. Dress it up or down! The cowl is hand washable in cool water. Please lay flat, on a towel to dry. Do not machine wash or dry or agitate while handwashing. 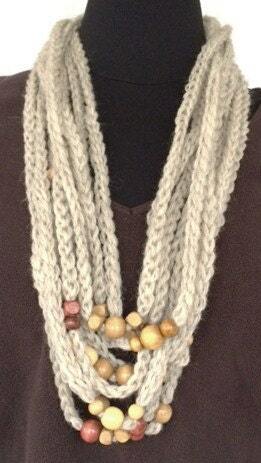 Approximate size of the scarf is 18" x 5" or 46 cm x 13 cm. 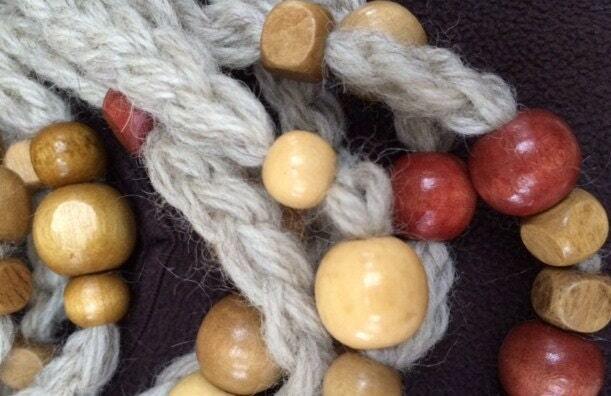 The button is fixed and the scarf does not untie. This cowl is available in a variety of styles and colors, please inquire if there is a specific color, length, or style you are looking for. Custom orders are welcome!